Out of Touch, or Out of Step? Who’s Out of Touch Now? What Would a Class-Balanced Congress Have Done? What’s Keeping the Working Class Out of Office? "If you’re wondering ’what’s the matter with Kansas?’—working-class Americans voting against their own class interest—you should be asking, ’what’s the matter with Congress (and state legislatures, the Supreme Court, and basically every other American political institution)?’ As Nicholas Carnes engagingly shows, politicians with working-class backgrounds take positions very much in line with working-class interests. The problem is that there are hardly any of them in office. Sure to stir debate, White-Collar Government opens up exciting research vistas and new strategies of reform." 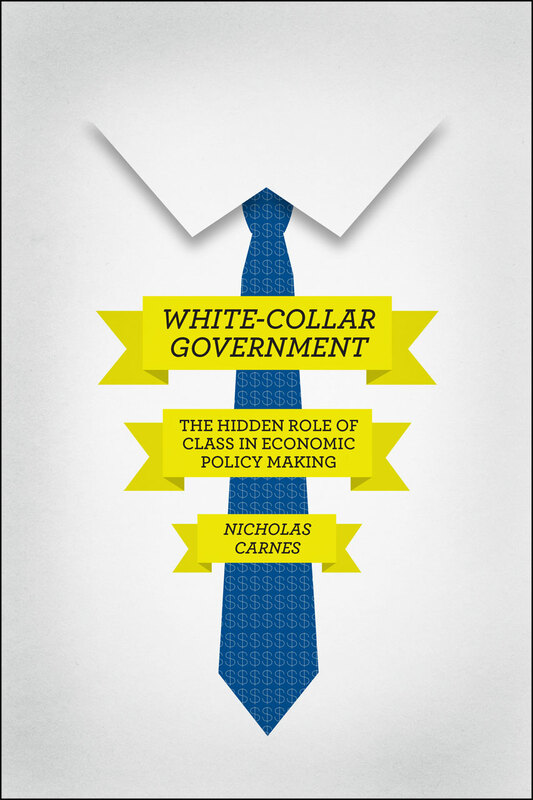 "White-Collar Government is a superb analysis of an important and long-neglected topic. Nicholas Carnes documents the overwhelming underrepresentation of the working class in America’s legislatures and shows why it matters. At local, state, and national levels, the dearth of representatives from working-class backgrounds, Carnes shows, has bent public policies toward the interests of business and the well-to-do. This book combines fluid, accessible prose with methodological rigor to make a powerful statement about the causes and consequences of our disproportionately white-collar government. Anyone concerned with the health of American democracy needs to read Carnes’ compelling study."